In news that most rugby league followers have been expecting now since the Grand Final, Des Hasler has been stood down over alleged serious breaches of contract. Hasler is to face the Manly board to respond to the allegations. It has appeared that an uneasy truce has existed at Manly between the board and Hasler since the announcement that he was leaving to join arch rivals, the Canterbury Bulldogs in 2013. Plans had been put in motion for the succession planning of Geoff Toovey over the course of 2012, but this now appears that it will be stepped up faster than planned. Hasler, has been linked to announcements from senior Manly players of their intention to leave the club with Hasler, and the board has linked these announcements to Hasler. AccuScore, the leading sports forecasting company, renowned for offering the most comprehensive and accurate sports forecasting engine anywhere, has launched the free AccuScore App to bring its proven track record to the mobile devices of all sports fans. AccuScore provides users with everything they need to know before the game. AccuScore is so proven effective that it is used by many top sports media companies including ESPN, CBS Sports, Yahoo! Sports, Sporting News and The Wall Street Journal. 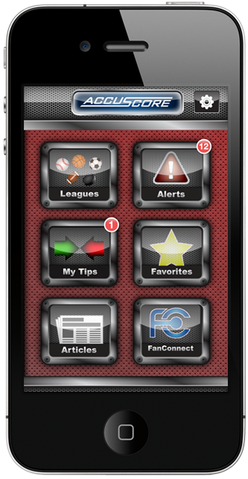 The AccuScore App brings all of this information to the mobile platform with its new FREE App. The Permian Panthers enter the playoff picture for the first time since 2009. They are coming off the demoralizing loss to the Abilene Eagles 42-14, which was the game for the Regional Title. This week they come up against the Arlington Bowie Volunteers, who have sat at or around the Top 25 ranked teams in Texas High School Footy this year. In the Division 1, Region 1 rankings Bowie are ranked at 8, ahead of the Panthers at 10. The biggest things the Panthers must do this week is improve their defence. They have been known to score, but their defence can be sketchy, although there were some promising signs against the Eagles. The Panthers, one of the most storied programs in Texas, deserve some success this time around. The Bob Jones Patriots in the Alabama 6A High School Footy, won through their first round playoff to set up a rematch with the Hoover Bucs. The Bucs spoiled the unbeaten season of the patriots by defeating them in the final round of the season 41-13. The Patriots and Hoover are both ranked highly in the Alabama 6A and the winner of this game may just go onto to win the whole thing. Patriots program has been building over the last few years, and look to be heading to their first ever State Title.